Everything is more fun with a friend. 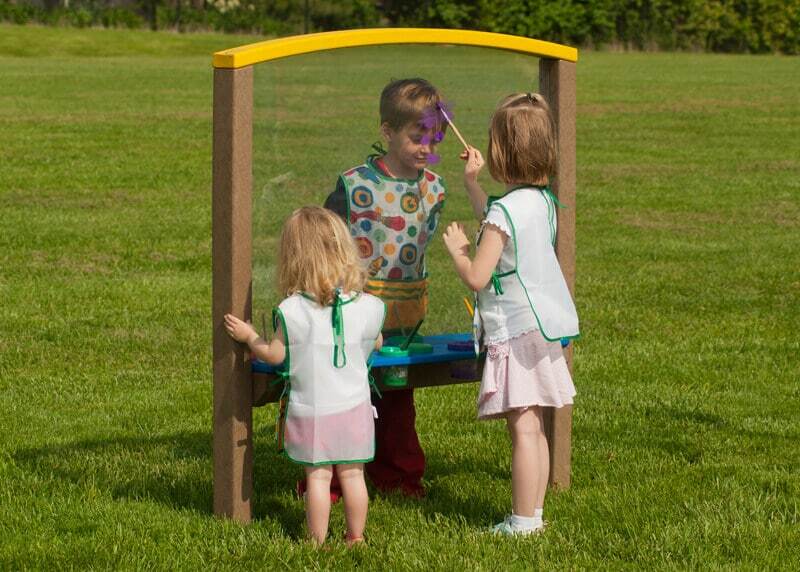 The Adventurous Child Single Large Art Easel is designed for two. 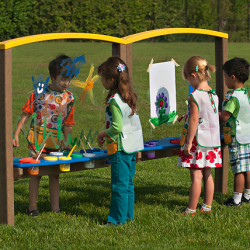 Side-by-side or opposite, children learn to cooperate and work creatively. The durable, clear polycarbonate can be drawn on directly or attach sheets of paper so children can take their masterpiece home and decorate the fridge. 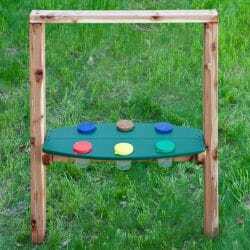 Built in paint cup holders keep young artists organized and the whole thing can be hosed down for easy cleanup. 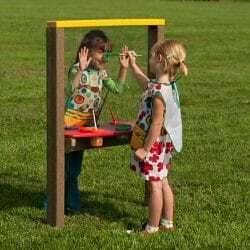 The Adventurous Child has other Art Easel options available – a Large Double option and a smaller version in a single or double style available in cedar or maintenance-free plastic. When using the Art Easel, only use washable paint/markers.